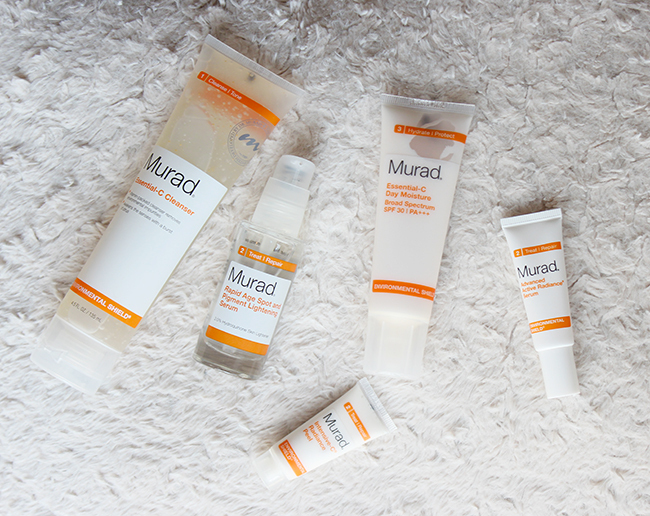 Murad Essential-C Skin Lightening Kit Review! 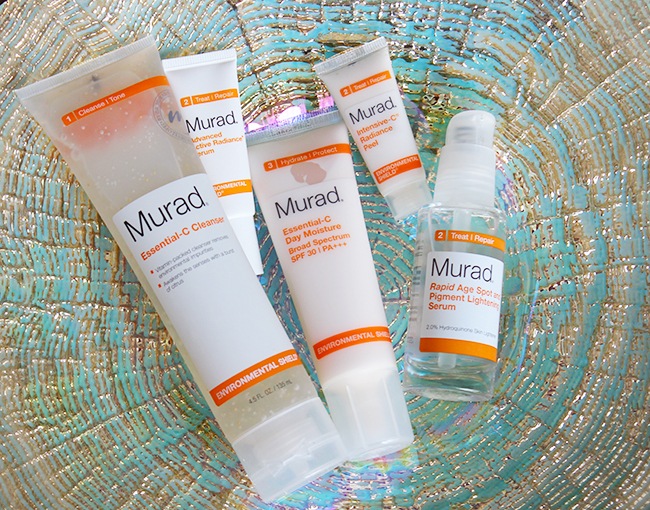 Murad's Essential-C skincare line is packed with vitamin c and antioxidants that help treat hyperpigmentation caused by sun, hormones, genetics and inflammation. I got the opportunity to test out Murad's Essential-C 90 days skin lightening kit which contains of the Essential-C cleanser, Rapid Age Spot and Pigment Lightening serum, Essential-C Day moisturizer with SPF 30 as well as Intensive-C Radiance Peel and Advanced Active Radiance Serum. Essential-C Cleanser cleanses and rehydrates the skin. Rapid Age Spot and Pigment Lightening serum contains 2% Hydroquinone - highest available dosage skin lighting ingredient without prescription. Essential-C Day Moisture moisturizer is packed with vitamin c and offers SPF 30, which is a must and necessarity for me in a daytime face moisturizer. First thing that caught my attention while using this kit was a very pleasant citrusy scent of all the products. I am a big fun of citrus scents and Essential-C line smells like a sweet orange but the scent is not overpowering, very subtle yet delicious, yum! I have normal-to-combination skin depending on the season and I have been really enjoying how my skin feels after using the cleanser followed by the serum and moisturizer on daily basis. The moisturizer has a thicker texture but it absorbs very quickly and it didn't cause any oiliness later in the day which I was happy about. Intensive-C Radiance Peel as well as Advanced Active Radiance Serum have more concentrated ingredients and deliver faster skin lightening results. I use both once every week or two and noticed quite the difference in my skin after only one use. Summary: Overall after using Murad Essential-C lightening kit for around four weeks I did notice more even, radiant skin. 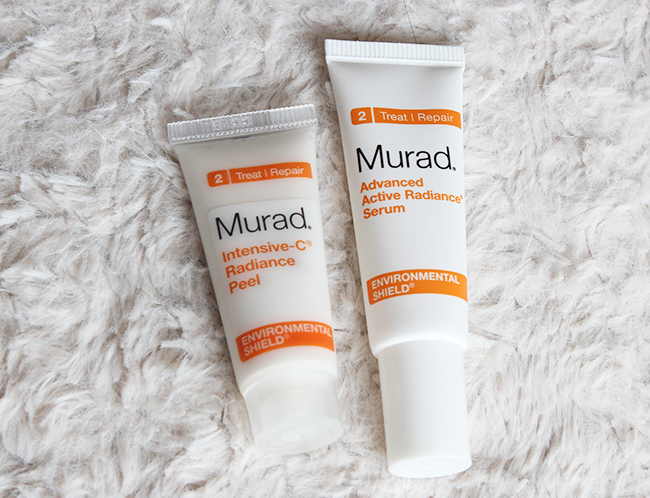 I think with upcoming spring and summer and more intense sun exposure Murad's Essential-C lightening kit is a great skincare line that will keep your skin hydrated, radiant and even. 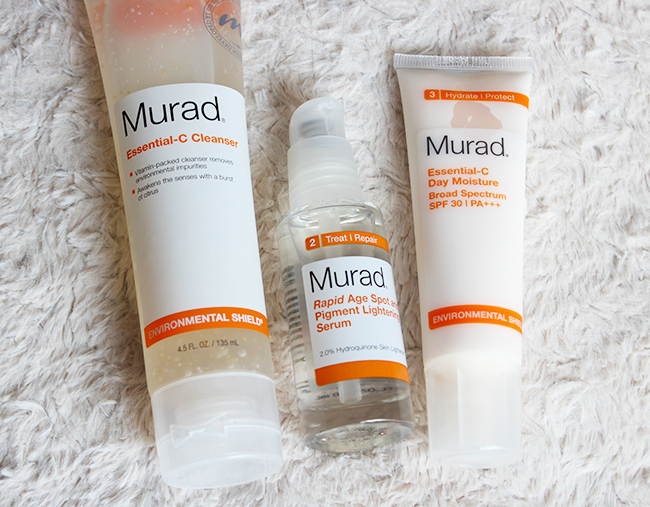 Get more information about Murad Essential-C skin lightening kit here.